Yet another game upgraded to the "Standard 4" today. 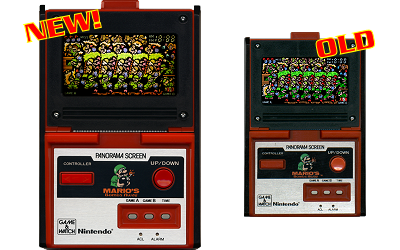 And again it is a game from the much loved "Panorama Screen" series by Nintendo, featuring Mario playing the role of a soldier. 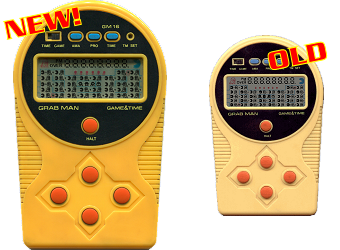 The upgrade is massive, and the new game has been re-programmed from scratch to offer a very realistic gaming experience: bigger graphics and manual, improved sound quality and removeable splash screen. Big thanks to Ren� Van Egmond for providing photos and scans of the game and manual. All files available on the downloads page. 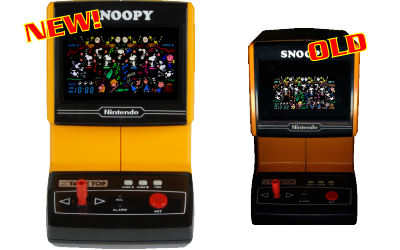 One more game finally upgraded to the new "Standard 4", now featuring larger graphics, improved sound quality, removeable splash screen and full compatibility	with MAME cabinets. Big thanks to Ren� Van Egmond and Rik Morgan for providing photos and scans of the game and manual. 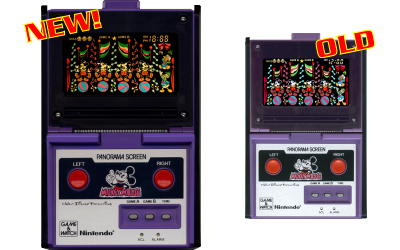 Today's release is a milestone for me: yet another Nintendo Panorama Screen game is upgraded to the most recent standard! It took me seven years to find two generous gentlemen that were available to send me high-resolution scans of the game and the instructions manual, which I included in this release. Big thanks to Ren� Van Egmond and Anthony Lavenu for their invaluable support! Also, the game is dedicated to my brother Oreste, who celebrates his Saint's day today. Don't miss to get the files from the downloads page. Time for games updates today. Nothing really major, just a few minor improvements to previously released simulators, that is new removeable splash screen and larger manual to match the actual game graphics size. All files are available for download from the usual downloads page. 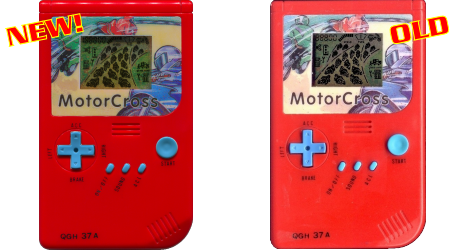 - An Interview with Luca Antignano (aka MADrigal), my interview on a very popular Greek website devoted to retrogames and emulation. I hope that you enjoy the reading! 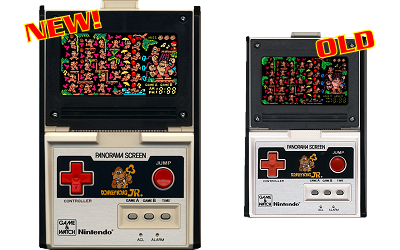 Yet another complete rewrite of a top wanted game from Nintendo's Multi Screen series today: Donkey Kong II. I released the very first version of the simulator in 2000, then started to rewrite it in 2012 and then stopped for more than two years. Last week I decided it was time to complete the task at last. Don't miss to download them from the downloads page. Eight years ago I released the "Mickey Mouse (Panorama Screen)" simulator under the newly settled "Standard 4". It was the very first fully keyboard-operated simulator, making it perfect for use in an "Arcade cabinet". Since then, the "standard" has evolved a lot and the newer simulators feature high-resolution graphics, bigger manuals, and a removeable splash-screen for easier use. I have been notified of a small bug in the Parachute (Nintendo) Simulator, that very few of you may have noticed. It was connected to the "bonus" lives granted at 500 points. Grab the files from the usual downloads page. I have finally upgraded another simulator of a much beloved game to the newest Standard 4. I dedicate this release to all the fans of the Peanuts characters and in memory of the unforgettable Charles M. Schulz. 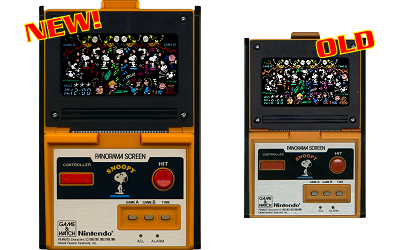 The game is a little gem in the Nintendo Game & Watch series, featuring beautiful tunes and intermissions in pure "peanuts-style". The simulation quality has been improved a lot and many bugs have been fixed, making the simulator very close to the original game. Thanks to Rik Morgan and Ren� van Egmond for providing beautiful pictures of the game and scans of the original instructions manual! This is the usual comparison between the new and old version of the game. They are available for download on the popular downloads page. Today I am finally achieving my goal to upgrade my very first simulator, that I originally released in 1999, to the newest standard that means: better graphics and sounds, full compatibility with MAME-cabinets interfaces and removable splash screen. Source code is also available. Attention! From now on, every binary and source code file is distributed under the Creative Common licenses. The new license files are included in every forthcoming and every previously released game archive. If you're collecting the games through ClrMAMEPro you should download the new license files and the new DATfile. Happy Easter everyone! I have not only enjoyed my long weekend with my family: I have also been restless programming simulators. This time it was an easy (though long) task. I have finally upgraded three games from Nintendo's Multi Screen series, now featuring a larger version of the instructions manual and the option to disable the "splash screen". I also fixed a few bugs that were reported by users. 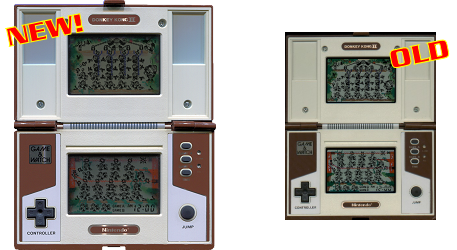 I wish to thank Massimiliano Tili for providing great scans of the instructions manual, and Leandro Jardim for reporting a minor graphics bug in Mario Bros.
Don't miss to get the games from the downloads page! Autumn has started down under and it's time to release new simulators again! Yet another complete rewrite of a very much loved game, that many players are waiting for! 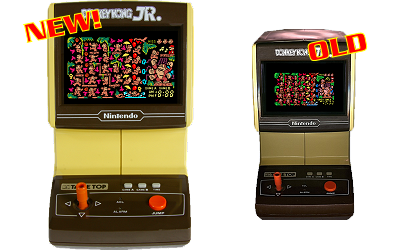 The game is Donkey Kong Jr. Table Top by Nintendo. I wish to thank Rik Morgan and Ren� Van Egmond for providing superb photos of the game and scanned copies of the instructions manual! The new files are available for download at the usual downloads page. Enjoy! More updates to previously released games today. This time it's a complete rewrite of a game, that really deserved to be updated due to many bugs and inaccuracies affecting it. 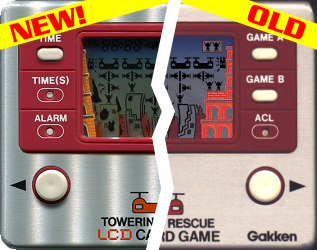 The game is Towering Rescue by Gakken, now released with source code. Grab the files from the downloads page! Happy Australia Day everyone! This is the very first website update since my move down under. On a side note, I have finally found evidence that the game was not released by Matsushima as most people would think. The game manufacturer is still unknown, anyway that's definitely not Matsushima. Also, the game is made in Taiwan whereas Matsushima is a Japanese company. I also updated two games by Tomytronic by adding larger instructions manuals and the new "removable splash screen".